William Lamar Hinson III was found guilty of voluntary manslaughter “with the special allegation that he personally used a deadly weapon” in the 2015 killing Khan Lam in Garberville, according to a press release sent by the Humboldt County District Attorney’s Office. Lam, 37, was involved in a physical altercation with a family member in downtown Garberville on July 18, 2015. Suddenly, four men, including Hinson, confronted Lam and started chasing him, leading to a head injury. Lam was sent to Garberville’s Jerold Phelps Community Hospital, then to a hospital out of the area to be treated for a brain injury when he was later taken off life support by his family. It was first reported that Lam had fallen while being chased but his autopsy report stated his injuries were inconsistent with a fall, spawning the homicide investigation. The press release says that Hinson struck Lam on the head using a board, fracturing his skull. The Humboldt County Sheriff’s Office investigation resulted in Hinson’s arrest in late 2016. “The prosecution of Mr. Hinson relied on several witnesses willing to come forward, speak with law enforcement and ultimately testify at trial,” the press release said. Hinson had been charged with murder in the case but the jury acquitted him of that charge before voting to convict him on a lesser-included count of voluntary manslaughter. He faces a maximum of 11 years in prison at his sentencing, which is scheduled for April 8. Today a jury found 41-year-old William Lamar Hinson III guilty of voluntary manslaughter for the killing of Khanh Lam, with the special allegation that he personally used a deadly weapon. The case arose from an incident on July 18, 2015. The victim, while apparently looking for his dog, became involved in a physical altercation with a family parked near the Garberville town square. The defendant and several others intervened and chased the victim down an alley, where the defendant struck the victim in the head with a board, fracturing the victim’s skull. 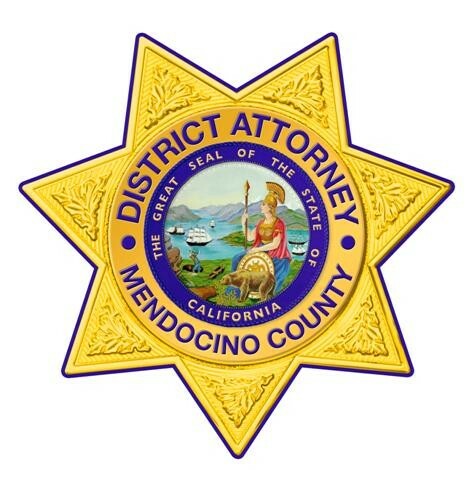 An investigation by the Humboldt County Sheriff’s Office led by Investigator Jennifer Turner resulted in the arrest of the defendant in late 2016. He has been in the Humboldt County Correctional Facility since January 2017. Deputy District Attorney Roger Rees prosecuted the case with assistance from District Attorney Analyst David Walker and Victim/Witness Advocate Marybeth Bian. Public Defender Marek Reavis represented Mr. Hinson. Judge Lawrence Killoran presided over the one-month-long jury trial. The prosecution of Mr. Hinson relied on several witnesses willing to come forward, speak with law enforcement, and ultimately testify at trial. The District Attorney’s Office greatly appreciates their efforts, along with the time and effort of the jury. The scheduled sentencing date for Mr. Hinson is April 8, 2019. Mr. Hinson faces 3, 6 or 11 years in state prison for the voluntary manslaughter conviction and an additional year in custody for the special allegation of personal use of a deadly weapon.